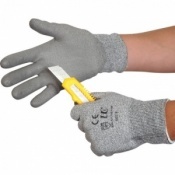 With a rough finish over the entire exterior and latex coating on the palm, the Showa S-Tek KV3 Latex Coated Cut Level 5 Gloves provide good grip and exceptional protection against cuts. 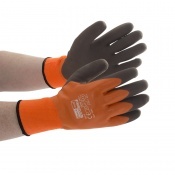 A seamless, anatomical design, breathable back and anti-bacterial and anti-odour treatment, make the Showa S-Tek KV3 Gloves suitable for extended wear. The Showa S-Tex KV3 Gloves have been tested to EN 388, the European Standard that gauges a gloves resistance to a range of physical threats. Please see the table below for a breakdown of the results. 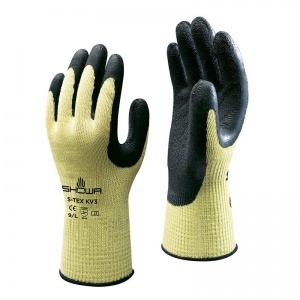 The Showa S-Tek KV3 Gloves are available in sizes 7, 8, 9 and 10. Please see the table below for details of these sizings.